adidas’ NMD R1 Primeknit silhouette is ready to take on a brand new look for the end of Summer by way of this clean “Energy Ink” selection. 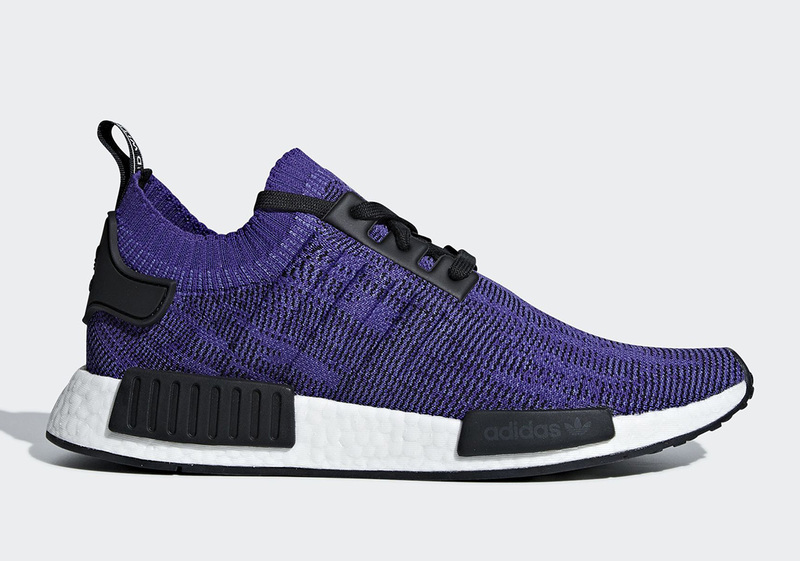 Utilizing its Primeknit upper, the Three Stripes ushers in an almost entirely purple color scheme that gets contrasted by quick hits of black woven into its knit material to match the shoe’s heel tag, lace unit, and midfoot bumpers. A customary adidas NMD full length BOOST midsole comes dressed entirely in stark white to finish this selection off in familiar fashion. To switch things up from the norm, adidas opts to replace its usual midfoot stripes with three subtly raised lines that blend in with the rest of the sneaker’s aesthetic. Enjoy an official set of images for the newest NMD colorway below and look forward to its arrival on adidas.com on August 1st.